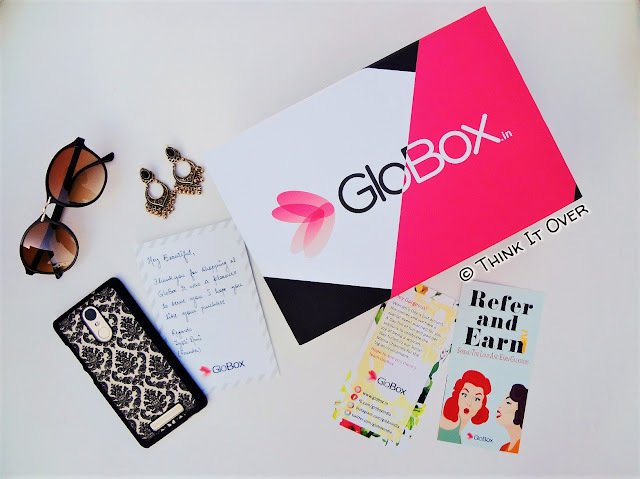 Black, white & pink are the colors employed in the February 2017 Globox. 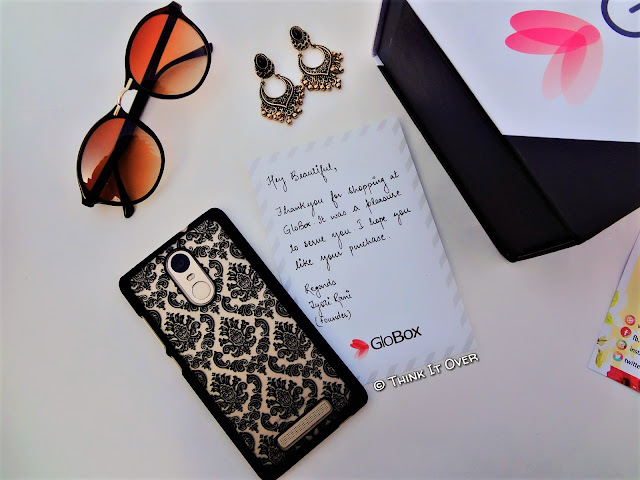 It comes with magnet on its flap which makes it convenient for opening & closure of the same. All the content/products have been placed amid thin paper strips; carefully bubble wrapped. Also, a butter paper can be seen encompassing & holding together everything, with a Globox sticker on it. 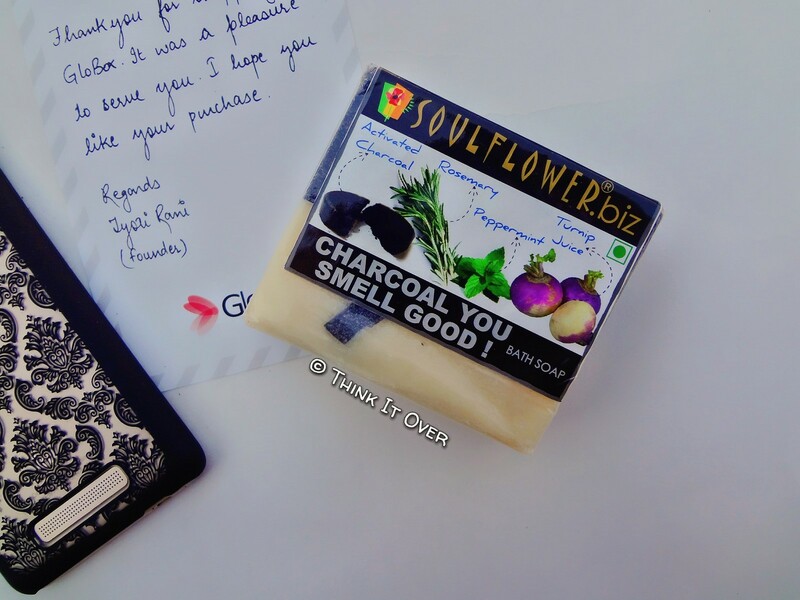 # There were also few coupons cards, info – pamphlets and a hand – written note from the founder - Jyoti Rani. 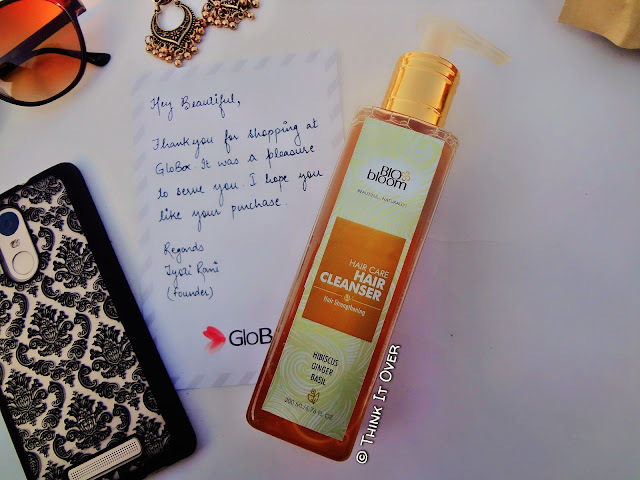 1) Bio Bloom Hair Cleanser: Recently, I’ve heard a lot about this brand. One thing which makes me sceptical with the fact that it provides nourishment and I always prefer my shampoo to have no conditioning properties. For the price, the amount of product is definitely less but let’s see how it would fare. 2) Stay Quirky Nail Polish Sand Effect TGIF Dance: I remember while filling online form created by Globox, they asked about much makeup I generally prefer and I chose light. I saw online what other Bloggers/YouTubers received and I guess I should have selected medium or high makeup. I’m not really a nail paint lover so it isn’t too overwhelming. Can’t say exactly about sand effect as I haven’t swatched it as of now but I assume there’s gonna be some texture. This color is really pretty and can be described as pale pink. 3) Soulflower Charcoal Soap: Not one of those who likes to try out organic soaps but the word charcoal makes me expect; I might love it! 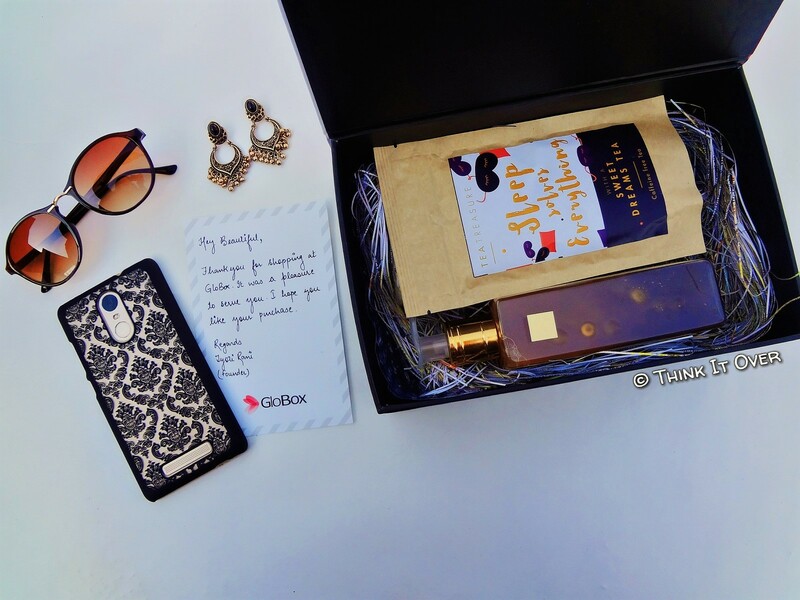 The box had a beautiful fragrance lingering on because of it. 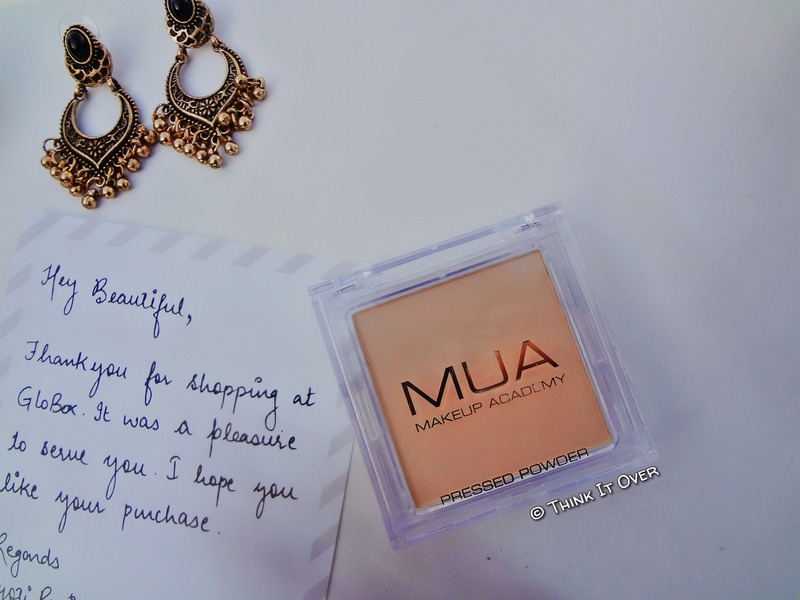 4) Mua Pressed Powder Shade 1: While filing the beauty profile, I mentioned about my skin being oily and prone to acne. Therefore, by Expert’s recommendation, I was sent this pressed powder. The packaging is pretty sleek. I tried to take its swatch and realized that the formulation is buttery smooth. But I disliked the fact that it comes no brush or powder puff, which makes me rethink about adding it into my college bag. 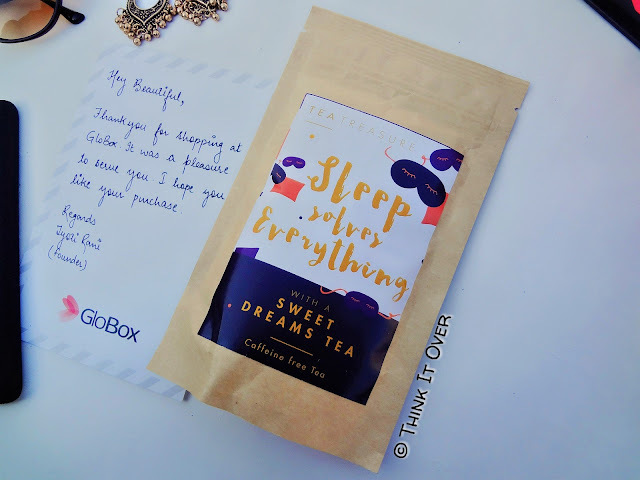 5) Tea Treasure Sleep Solves Everything: I have tough times sleeping when my mind works excessively at night, thinking about various deadlines and internal exams. And the next morning, I am dozing off at every place possible!😂 I guess this lavender tea will be my companion on such days. FINAL VERDICT: I really enjoyed this subscription box as it caters full size products & 2 makeup items. One thing which I came around is that the original box was priced at INR 799 and raising price for revamped box is kinda disappointing. Pressed powder looks nice. Great globox. Liked it.